My students and I have been experimenting with a variety of breathing exercises. We have found many of them to be beneficia,l particularly for those of us with sinus problems and/or allergies that cause nasal stuffiness. The next few exercises will describe methods of breathing – sometimes in conjunction with arm movements, sometimes as stand-alone exercises. I’d appreciate hearing your opinion on these exercises in the comment section at the bottom of this post. Let me know which exercises are effective for you. Sit in your usual position with your hips tucked under, feet flat on the floor, shoulder-width apart. Hold the right side of your nose closed as you breathe in through your left nostril. 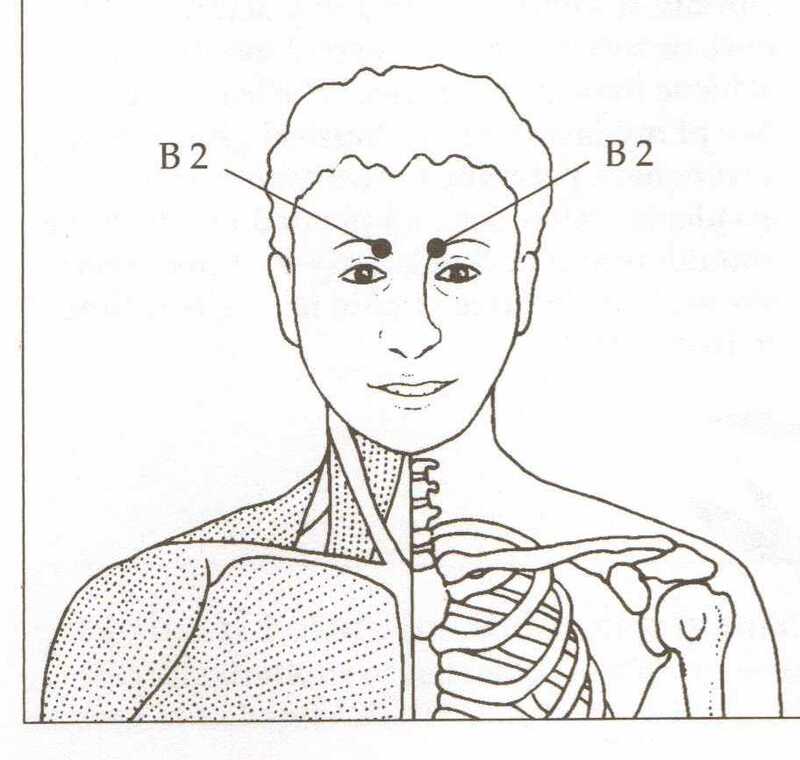 Then change sides, closely the left nostril as you breathe out through your right nostril. Repeat breathing in through the right and breathing out through the left for a total of 6 times. Then, change sides, breathing in through your right side and out through the left for an equal number of times. Repeat as often during the day as needed. 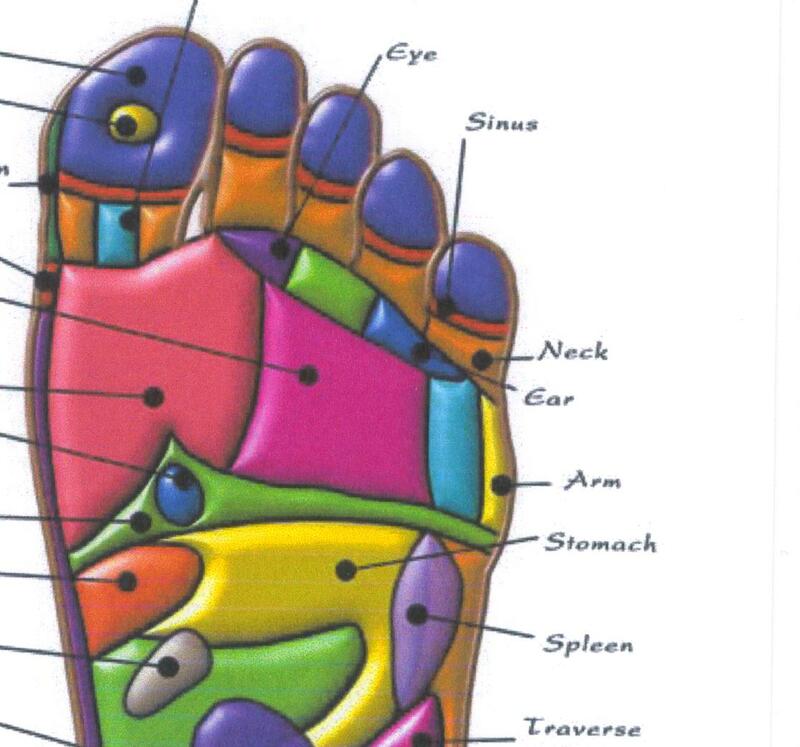 You will find this reflexology point on the toe next to the little toe on either foot. 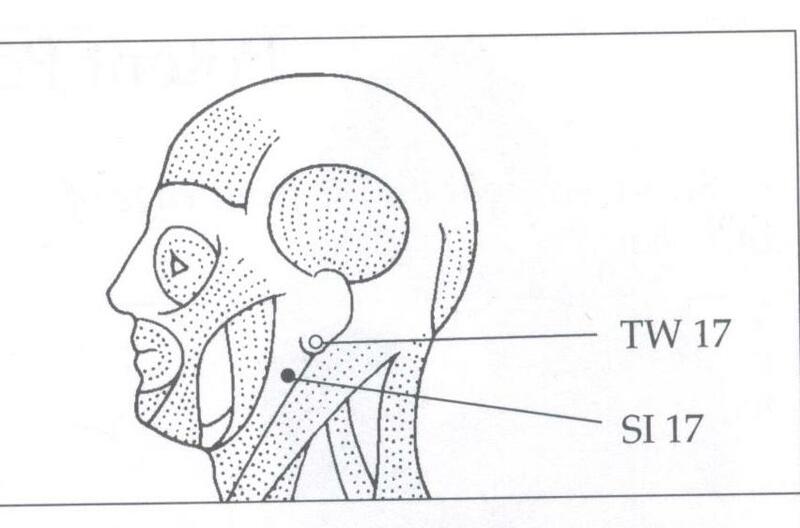 Massage on that toe in the area just below the toe nail for a few seconds, then press firmly on the point labeled “Face/Sinus” on the illustration above for no less than 60 seconds. You may stimulate this point as often as necessary on either or both feet. Find great deals on home exercise equipment at the Exercise Equipment Super Store. Have a wonderful and fit holiday. We’ll be back the first week of the new year. 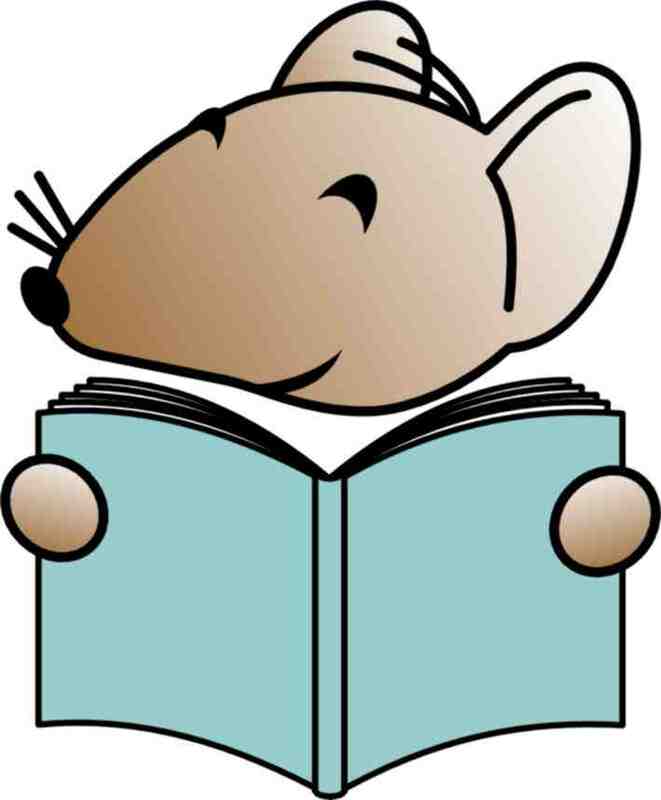 …the award-winning blog of seated Qigong and T’ai Chi exercises to balance mind, body and spirit for people of all ages and levels of fitness. These energizing exercises are intended to improve the health of your internal organs but, because of the twisting motion of each of them, they are also beneficial for trimming the waist. At this time of the year with all the celebrations that involve delicious food and rich desserts, that benefit is equally important. Sit as usual with your back supported by the back of the chair, feet flat on the floor, shoulder-width apart. Breathe in slowly through your nose, allowing your diaghram to expand. Bend your elbows and bring your fisted hands to the front of your chest with the backs of your hands touching each other. Still breathing in, pull your right fist toward your right shoulder, forearm parallel to the floor. As you breath out through your mouth and tighten your diaphragm, extend your left arm to the left side with the palm facing outward. You will be twisted slightly to the left. When your arm is fully extended (do not lock your elbow) pause for a moment in both your breathing cycle and arm movements. Breathe in again as you return your left hand to your chest and in front of your left shoulder. Continue alternating sides for a total of 12 repetitions. This point is toward the outside of the foot at the top of the larger gold area on the chart above. It is the only black dot in that area. Massage that spot in a circular motion for a few seconds, then press firmly and hold for about 30 seconds. You may alternate feet. Repeat as often as necessary. 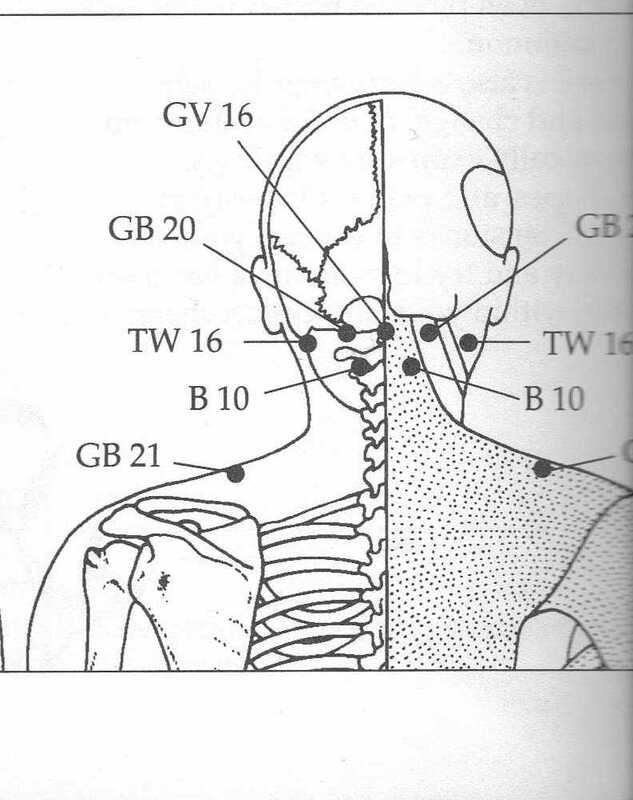 This spot is beneficial for stomach aches and indigestion and to regulate the functions of that organ. 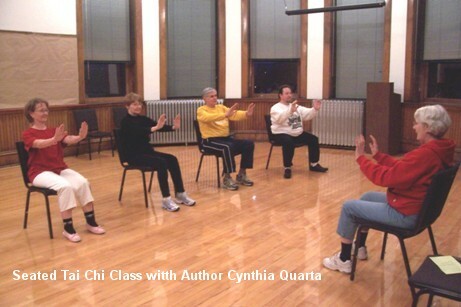 …the award-winning blog of seated exercises based on Qigong and Tai Chi to balance mind, body and spirit for people of all ages and levels of fitness. In this series of exercises we are concentrating on movements that will stimulate, energize and massage our internal organs. We tend to ignore these important organsin spite of the fact that the health of each of them is vital to our overall well-being. None of the exercises are geared to one particular organ – all are benefitted by the movements and oxygenated by the specific breathing pattern that we have been practicing. Extend your arms and reach for the ceiling while you breathe in slowly expanding your diaphragm. Swing your right arm down across your chest to the left side as you breathe slowly out through your mouth. The left arm remains stretched upward. Turn your head so that you are looking over your shoulder to the right and upward. Begin breathing in again as you straighten and lift your right arm back up and stretched toward the ceiling. Breathe out and swing your left arm across your chest, leaving your right arm stretched high. Tilt your head so that you are looking up and over your left shoulder. Breathe in again and return to yoru original position both arms stretched toward the ceiling. Continue alternating right and left for 6 to 12 repetitions. You can find the small intestine spot on the bottom of your foot about 3 finger-widths above your heel pad. 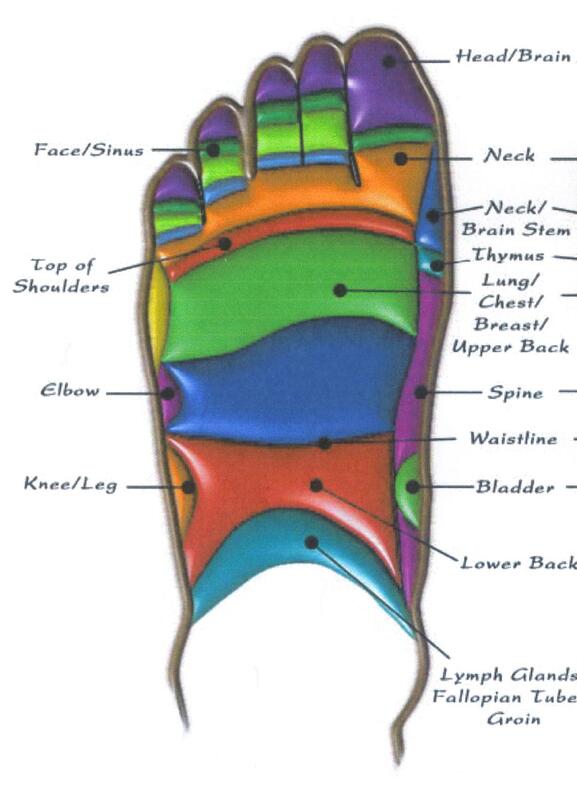 It is the outside of your foot about one thumb-width from the outer edge. Massage the area in a circular motion with your thumb for a few seconds and then press firmly for about 60 seconds. 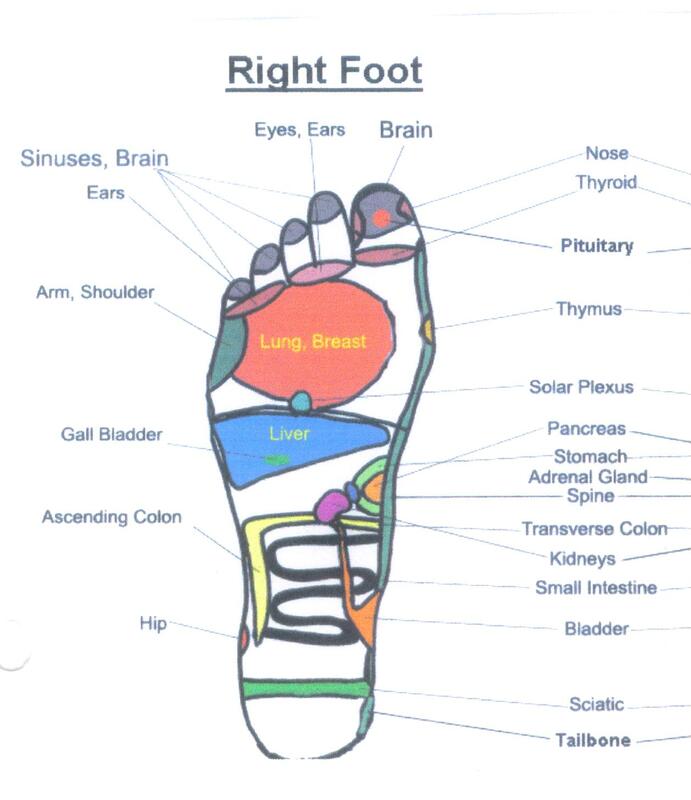 You may repeat on the same foot and/or change feet and massage and press firmly for the same amount of time.